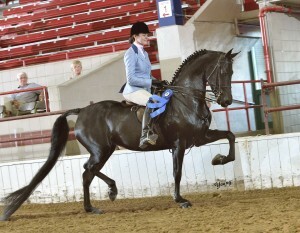 Armada Lady Liberty owned and trained by Keith Friday and shown by Maggie Smith won the Hunt Seat-Western pleasure division of the New York Stallion Service class at this September’s show in Syracuse. She earned Keith a check of nearly $6,000. It was really fun to watch Quincy win. She came here as a weanling and then won the four year old class.